If you’ve been training in the martial arts for a while, you know what it’s like to change schools or styles, or to be a guest at a different school. Typically, if said school is affiliated with your home dojo, this isn’t an issue – although there’s always the possibility of the odd hazing. However, if that school isn’t at all affiliated with your former dojo, there’s no telling what sort of jackassery that you’ll run into, as evidenced by the stories I’ll share with you in this podcast episode. In it, I relate various of my experiences in exploring different styles and schools as a student with previous experience. And, while these experiences aren’t at all indicative of the typical treatment I’ve received when visiting new martial art schools (usually, folks are pretty polite and welcoming), they do serve as a great example of what not to do when you have an experienced martial artist visiting from another school. And, these stories should also serve as a reminder that sometimes people just want to train and have fun – in other words, not everyone who has experience has a chip on their shoulder. Also, in this episode’s Tip of the Week, I share a few insights on how to make connections and get your name out when you’re starting to teach classes in a new community. MAbizU.com – My martial arts business coaching website. “So why all the interest? 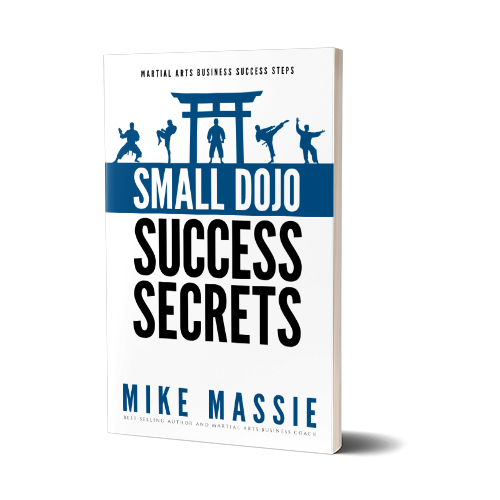 Well, there are a couple of principles at work here that I want you to understand, and these are very important principles when you’re marketing your martial art school, or part-time martial arts programs if you’re just getting started. The first principle is that you have to understand your market, and you have to understand what your market wants. If you’re trying to shove something down the throats of people in your market that they don’t want, you’re not going to get very good results. So you have to look at the market and understand their wants, needs, and desires, and then when you communicate with your market, you have to make sure you speak to those wants, needs, and desires. So basically, give the market what it wants.